In a series of posts last summer titled Lessons From the Cotton Field, I reflected upon a number of Biblical principles I learned firsthand in the cotton fields of my youth in rural Georgia. A recent segment on the local news featuring students picking bell pepper at a nearby farm surfaced memories of another episode from those days. 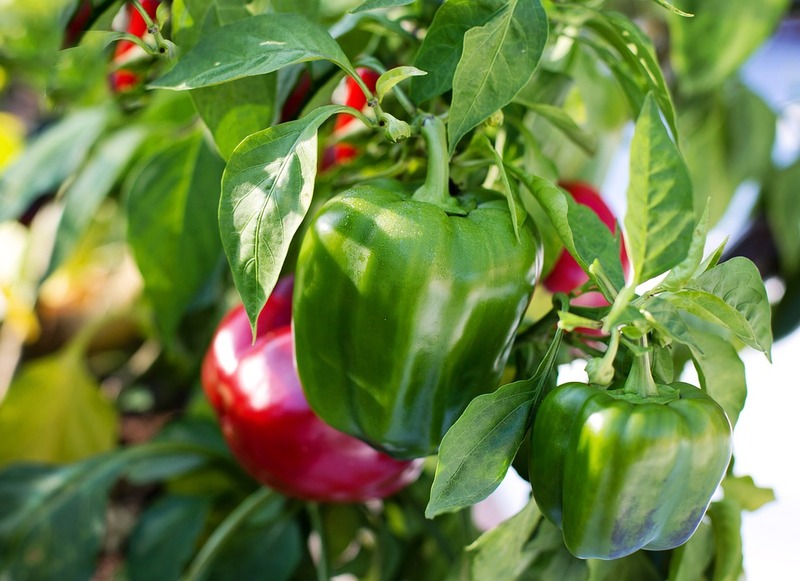 One year he decided to plant bell pepper to sell at a local processing plant in Jackson. Like many memories from those years, my memories of that crop are a bit hazy. But one incident stands out vividly. It was the day I decided to conduct my own one-man work strike against my father. When it came time to harvest, I soon realized that the cotton-picking sacks we were using were not suitably designed for gathering pepper. The sacks quickly became uncomfortably heavy. Daddy didn’t seem nearly as concerned about that design flaw as I was. So to make my point more emphatically, when the weight of my sack became unbearable on my ten-year old shoulders and neck one day, I declared for all to hear, “This pepper sack is choking my guts out!!!”. In the face of the laughter that serious declaration generated from my father and my siblings, I dragged that sack of peppers to the end of the row and dropped it. Ignoring Daddy’s threatening commands to return and disregarding whatever consequences might ensue, I defiantly walked off the job. After an appropriate time of grandmotherly coddling, I made my way home to receive whatever punishment I had coming. Bracing myself in my room as I heard Daddy coming through the back door, I waited for that call every child dreads in such situations. And waited. And waited. And waited ….. Finally, I heard Mama calling the family to the supper table. (Yes, we called it supper in the South. Dinner was the noon meal.) With my head hung low like Ralphie in The Christmas Story after he lost his glasses fighting Farkus the bully, I made my way to the kitchen table to face my fate. Daddy’s first words to me were “So I hear you visited Granny Wells this afternoon.” “How did you know that?” I replied. “A little birdie told me,” he answered. Little did I know at the time that I was getting an early glimpse into the ways of my Heavenly Father. All of us appreciate receiving love, mercy, forgiveness, and grace. But the appreciation I felt at the supper table that night pales in comparison to the gratitude I feel when I consider that when Christ interceded for me at Calvary, he wasn’t pleading my case – he was bearing my punishment. This entry was posted in Religious and tagged bell pepper, divine grace, divine mercy, Hebrews 4:16, pepper patch mercy, Psalm 103:10-12, Ridgetop Reflections by jwells1030. Bookmark the permalink. Excellent points, Mark. Especially the one about paying it forward! How often I’m guilty of failing in that regard. Enjoy reading your stories so much. Thanks, Nancy. I enjoy reliving them and sharing them. Another good post. I love reading about those by-gone days and how you point out Christ’s presence in every situation. Thanks, Regina. All that time Christ was revealing himself but it took me a while to recognize him and surrender. He was very patient with me. I really felt that, thank you Julian. God bless you. I really appreciate the encouragement, Anne.